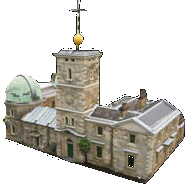 Book through the Sydney Observatory website or phone 9217 0111. The Theorem of Pythagoras in Physics is a three evening introduction to the application of mathematics to Physics. This well known theorem, that relates the lengths of the sides of a right angle triangle, is at the heart of many fundamental concepts in mathematics. Mathematics, being the language of Physics, Pythagoras's theorem is essential for many descriptions in Physics. From Newtonian momentum too Kinetic Energy, Einstein's Relativity, the probability of states in Quantum Mechanics and much more. The theorem has geometric and abstract interpretations, and provides a solid stepping stone into higher mathematics. This course is presented using interactive 3D graphics to bring the mathematics and physical principles alive. The Theorem of Pythagoras in Physics compliments other courses at the Observatory that do not included mathematics; Astronomical Concepts, Understanding Relativity and Understanding Quantum. The first evening we explore the foundations for the course. Proof is given for Pythagoras's theorem and see how it is used in classical physics, in Newtonian physics leading on to concepts of energy and gas laws. Relativity is based on geometry and Pythagoras's theorem is at the heart of special and general Relativity. Quantum describes states as a complex number. The probability of the state is another application of Pythagoras.